Congratulations to Patti Mitchell of the Washington Elementary School District for being the first ever recipient of the Ina Gittings Founder’s Award. This honor is given to a teacher that has taught for 25 years or more and is still making a difference. 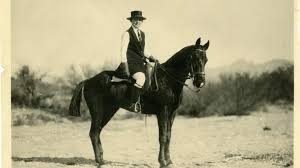 Long before Title IX, Ina E. Gittings (1885-1966) became the first university director of Women’s Physical Education and Athletics in Arizona in 1920. 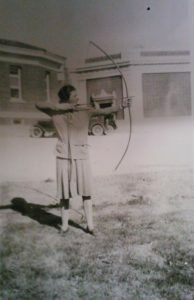 She introduced female students to archery, track and field, horseback riding and other sports. 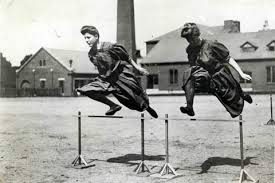 Women’s involvement in athletics was a new idea in the early twentieth century. 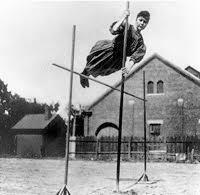 Prior to that time.. girls were thought to be too frail for sports. 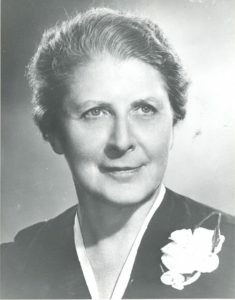 Professor Gittings started Arizona Health and Physical Education in 1931 under the name, “Arizona Physical Education Society”. Patti’s leadership on campus is evident in many ways. She mentors our new physical education teacher while planning beside him, modeling learning and teaching strategies. She has modified her schedule so that she can support him as he begins his teaching career. She reaches beyond the classroom by planning events and activities for the school community. Students collect donations for the American Heart Association and participate in a Jump Rope for Heart event. At the Annual Turkey Trot, students bring in canned food to be donated to our local food bank. This past year Patti organized a community caroling night with her music and art colleagues. The event was a huge success, providing students and families with the opportunity to enjoy an evening of fellowship. Patti’s commitment to strengthening the health and physical education teaching profession is evident in many ways. She served as the D Education Cadre leader for 10 years. 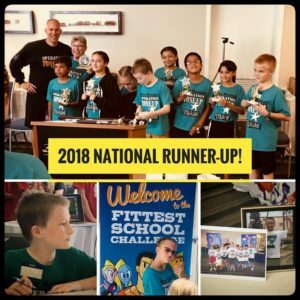 Her duties included planning and setting up professional learning in-services for the District’s 26 elementary schools’ Physical Education Teachers. She also participated on the District Health Fair Committee, designing engaging activities for participants. Innovative programming on campus includes the Operation Tone-Up program. Students in fourth grade participate in evidence-based, nutrient-smart lessons and a structured rigorous exercise program. The culminating event is a grade level competition with the winners making the school squad. The school squad competes against other winners in the state. Moon Mountain has represented the state for the last several years. 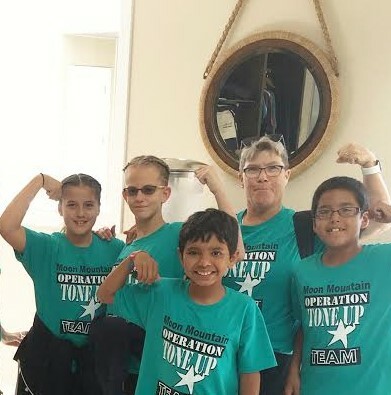 Mrs. Mitchell travels with the school squad to California to compete at the Operation Tone-Up National Fittest School Challenge. The opportunity to participate empowers students with accurate nutrition and exercise knowledge that can last a lifetime. Congratulations and Thank You Patti!